Crispin Glover's 2005 art film, "What is it?," featured a cast of people with Down syndrome. 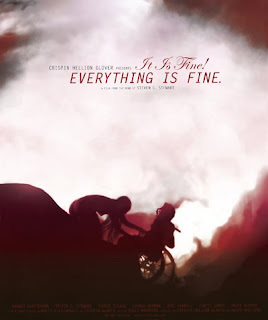 His latest installment, "It is fine! Everything is fine," focuses on a wheelchair user with a speech disability. The NY Post says: "Glover's aim is to show that people with less-than-perfect bodies are as human as anyone else. It's a worthy and so-far successful crusade." The Tyee in Canada has an interview with Glover July 16. He is in Vancouver, B.C., showing his films at the Pacific Cinémathèque.